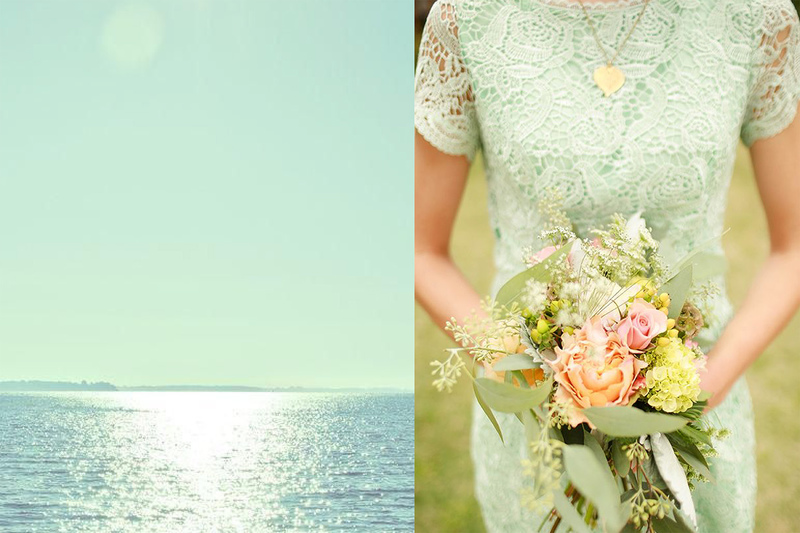 From ocean scenes to fresh florals, mint green hues can actually be found all around us. Linked to both nature and peace, this cool and calming color brings an aspect of serenity to a variety of decor including furniture, walls, linens and more. Its soft, mild tone makes it almost like a neutral, allowing it to pair well with a variety of shades that are both bold and mellow. 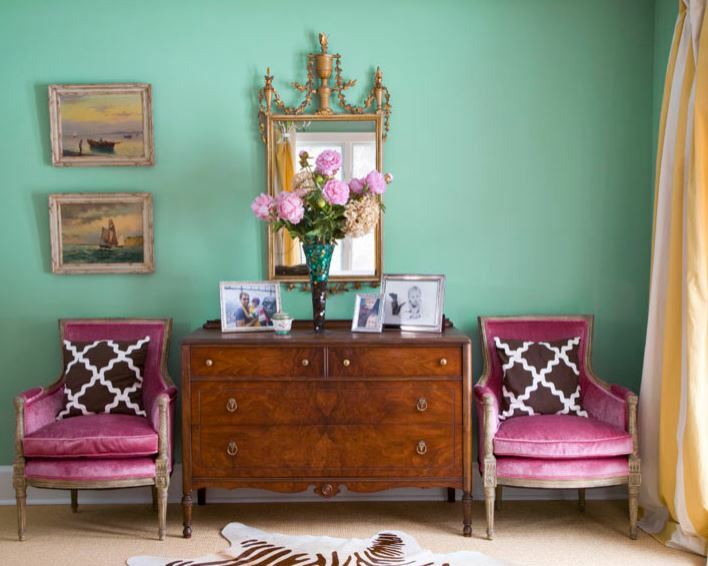 By adding just a splash of mint to your space to dressing its entire interior, this soothing hue will encourage a renewing energy inside your home that’s as wonderful as a warm summer’s breeze. 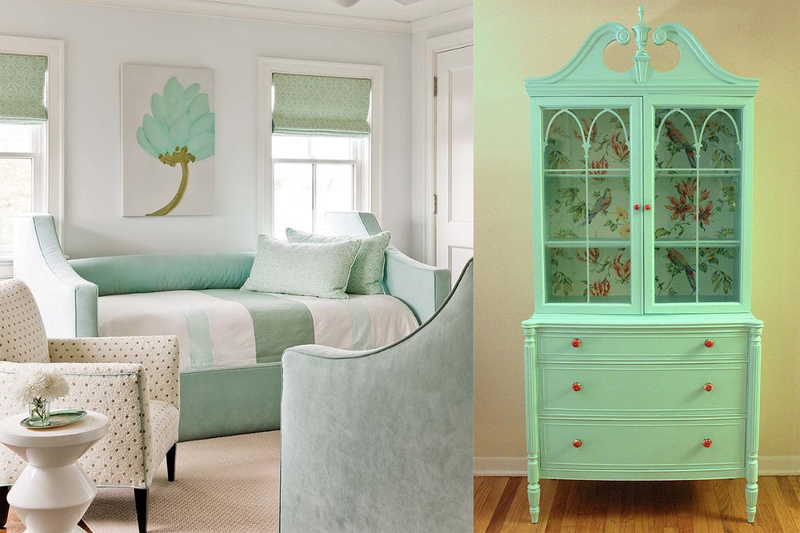 Adding mint as an accent color in your room tends to bring out its sweet and playful side. 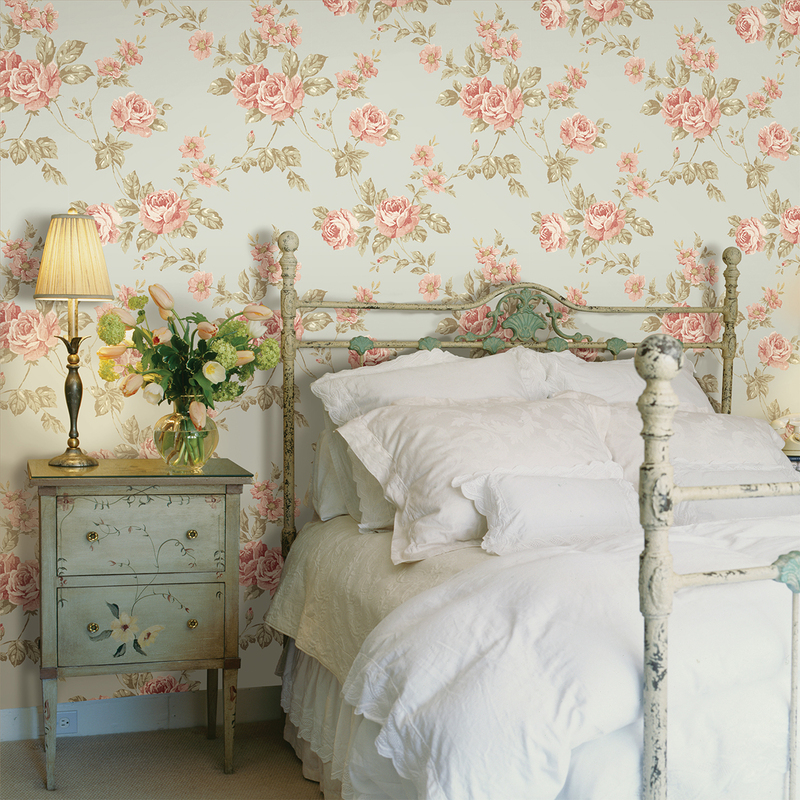 Usually paired against a more neutral background, this sudden pop of pretty provides the eye with a lovely and unexpected resting point that’s both relaxing and beautiful. 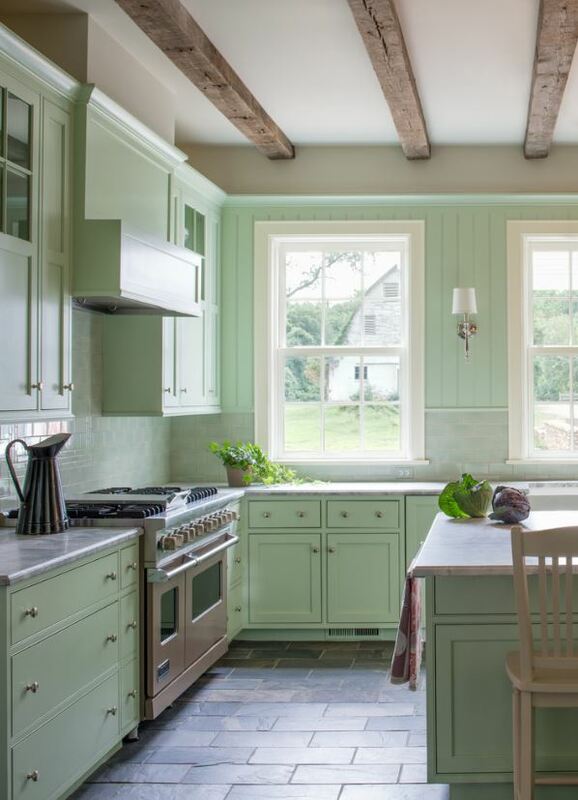 Besides being an ideal accent color, Mint can easily transition from one room to another transforming bedrooms, living rooms, kitchens and bathrooms into airy living spaces that are both beautiful to look at and reside in. Whether you’re looking to update your home or apartment, or fashion your next DIY, consider inviting a touch of mint to décor for a refreshing change that may be just the thing you’ve been looking for. 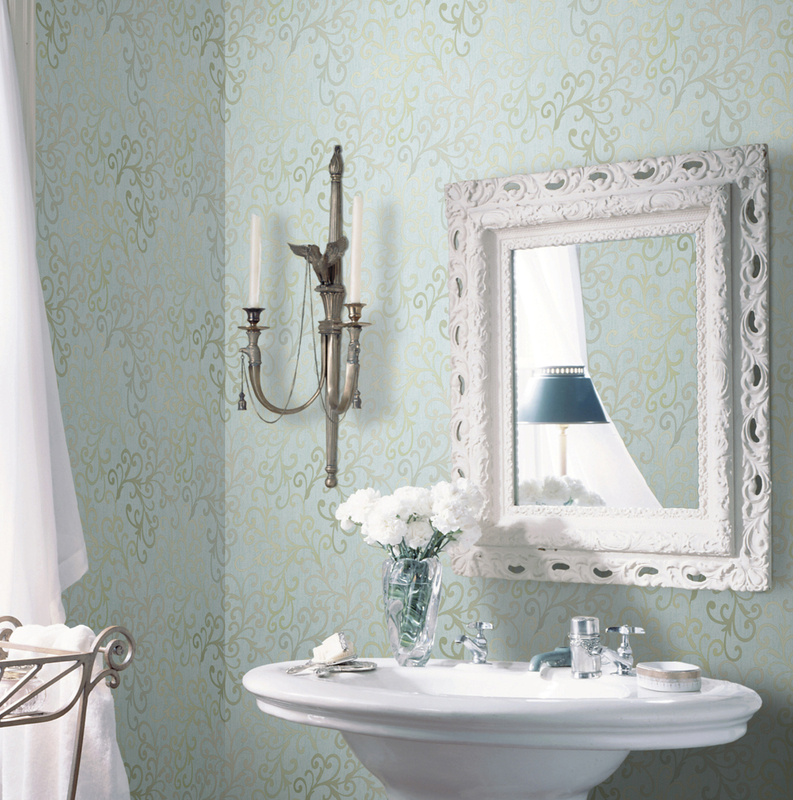 We would love to see how you incorporate mint into your space! 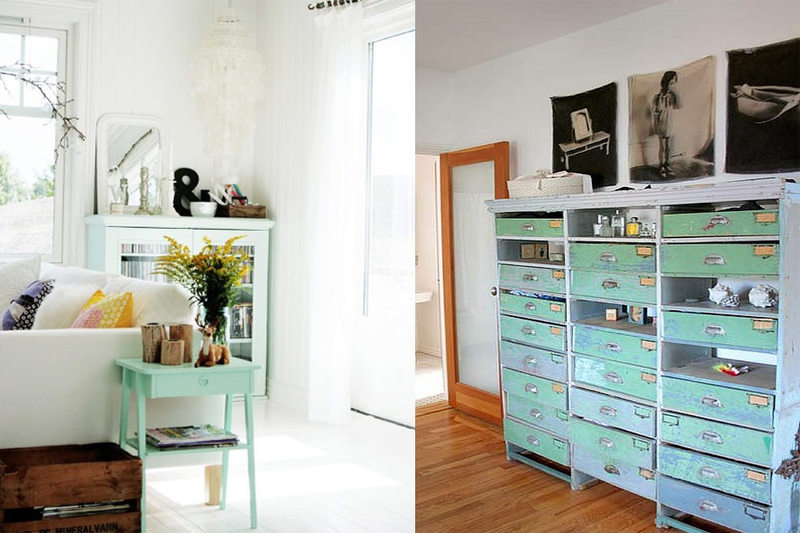 Make sure to share all your Mint Makeovers with us on Facebook or Pinterest!